This page is a brief overview of the active Honeydrum program of classes, events and performances. The full site will be up and running soon with loads more mouth wateringley interesting content. 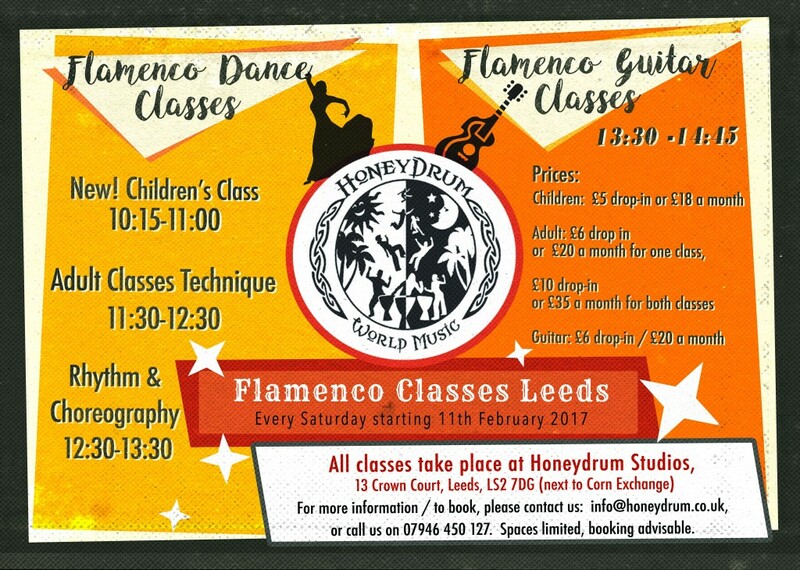 If you are interested in Flamenco, Afro-Cuban, Afro-Brazilian and African rhythms, dance and songs then check out our classes here. 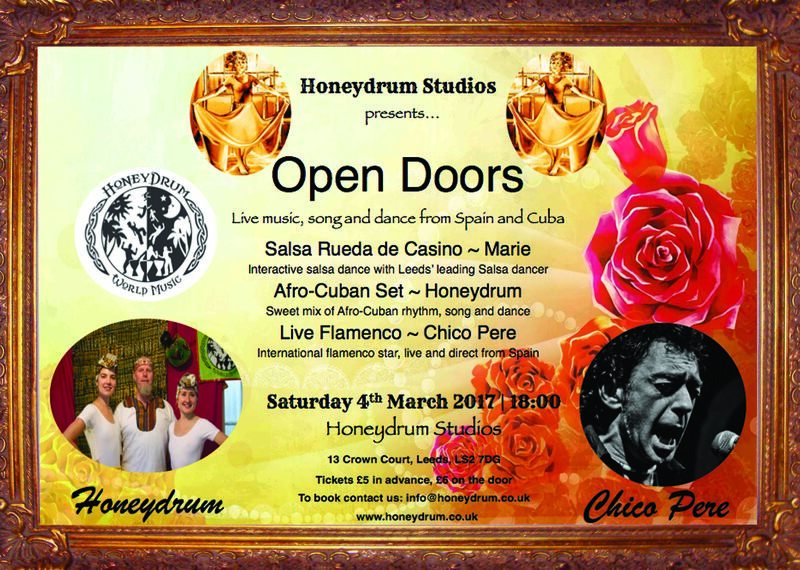 Learn rhythms and songs from Africa Cuba and Brazil. Play congas, djembe, surdo, snare, agogo bell, tamborim and more. in and around Leeds and Yorkshire.